Sometimes animals come into T-Bar that have such special requirements and challenges that they are virtually unadoptable. 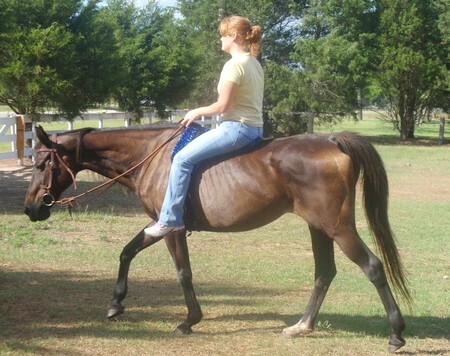 In those special cases, they live their life out with love and care at T-Bar Ranch or a loving foster home. Description: Lilah has such fair skin that when she came to TBAR through a seizure, her entire face had severe burns and was infected. Lilah can not be turned out in the pasture during the day, only at night. Description: This little filly had the unpleasant and almost fatal experience of being struck by lightning (seriously). She was left blind by the accident, but is a sweet and trusting girl. She has completely bonded with Firecracker who has become her seeing eye horse.. Description: Bella’s history is one which has become all too common. 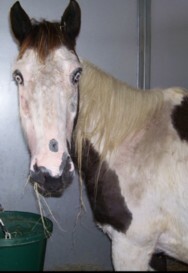 Bella was rescued by True Blue Animal Rescue (TBAR) along with many other horses who were starving and neglected. 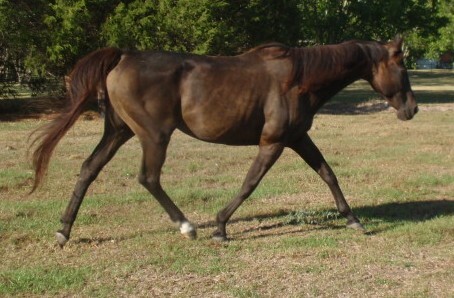 This lovely 25 yr. old dark bay mare has made a remarkable recovery thanks to the tender care and good food she has received at her foster home. Now Bella needs her own special forever home to complete a happy ending for her. 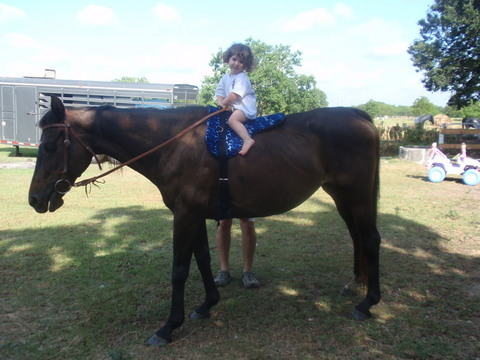 She is very tame and well-trained and has potential as a good kids’ horse or just a friendly companion. Update 2011: Bella’s foster family just loves her and the grandkids enjoy her. Due to her senior years, she will live out her life at her foster home. THANK YOU foster family! Erkle lost his front left hoof to a rattle snake when he was 2 years old. It grew back but with a serious rotated coffin bone issue- requiring frequent trims on both front feet (prone to founder if not trimmed). 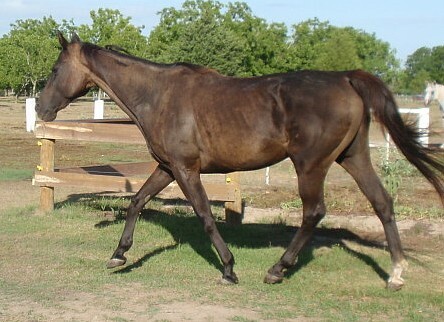 The owner lost her place soon after the bite incident when Hurricane Ike struck, so she “donated” Erkle to TBAR. He’s about 9 yrs. old now, VERY friendly but shouldn’t be ridden by anyone over 20 lbs. He’s a beautiful thoroughbred and the class clown – always getting himself in trouble. If you would like to sponsor Erkle, please email help@t-bar.org! 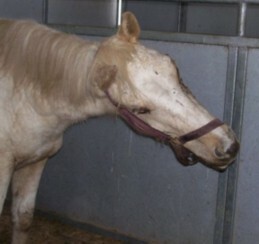 As these horses gain weight and/or are rehabilitated, they will be evaluated and be available for adoption. Consider submitting your adoption application now (click here). 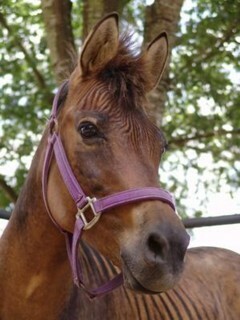 Or consider fostering one of these horses and be rewarded as they become, healthy, happy horses again. 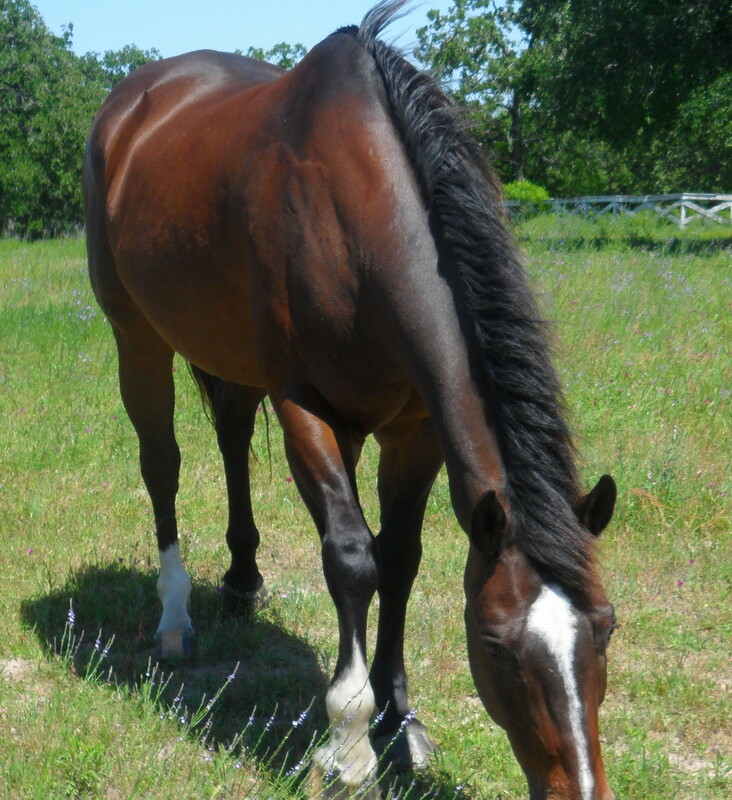 You can sponsor a rescue horse and help them get back to health. Examples: vaccinations and Coggins test for one horse costs $115, wormer costs $10, the farrier cost is $30, 1 bag of Equine Senior (a 1/2 week of feed for a skinny horse) is $16, 1 bag of One and Only for senior horses is $14.